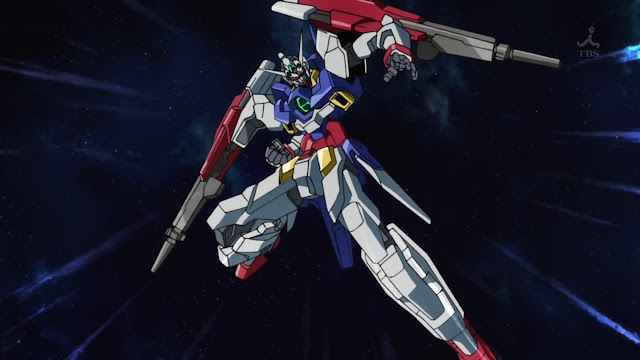 Finally an upgrade to Asemu's Gundam. It has been quite some time since he started using that same model. This episode I think was extremely well done, they really captured Asemu's plight well. This is turning out to be a very good arc. 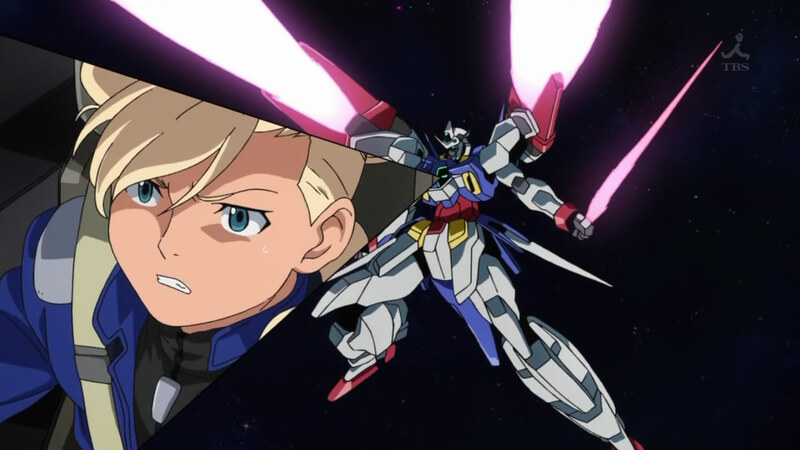 Partially because the gundams in this arc look so much better then the crap we got last season. This chance meeting with the 3 of them was just amazing. After so much battling, we could clearly see the breaking point for Asemu. I think they made it pretty clear this episode that the one Romary likes is Zeheart and not Asemu. 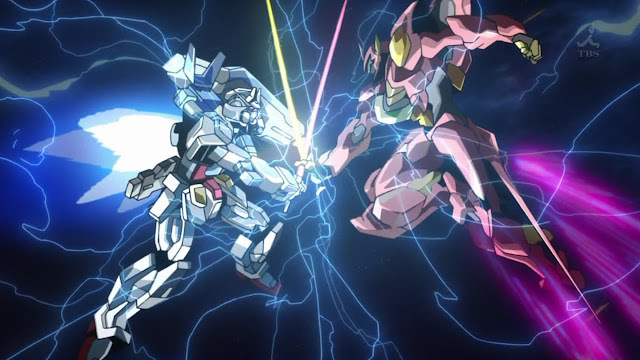 It finally gave Asemu a reason to fight, it is rare to see the main character's driving force to steal the girl away. I am really love this change of pace for a main character. Add on we have the main character from last arc proving he is still the best. This is a common problem with any sequel, it is hard to meld in the first season and keep things balanced. Think Seed Destiny where Athrun was one of the best yet still looked like crap until the final few episodes. For it to be clear that Flint is still the best was amazing. How did they screw up balance last arc so badly when they seem to be getting it right now? All they are missing is giving Flint a better machine so that he could show off his skill, I guess that would remove Asemu as the main character though. 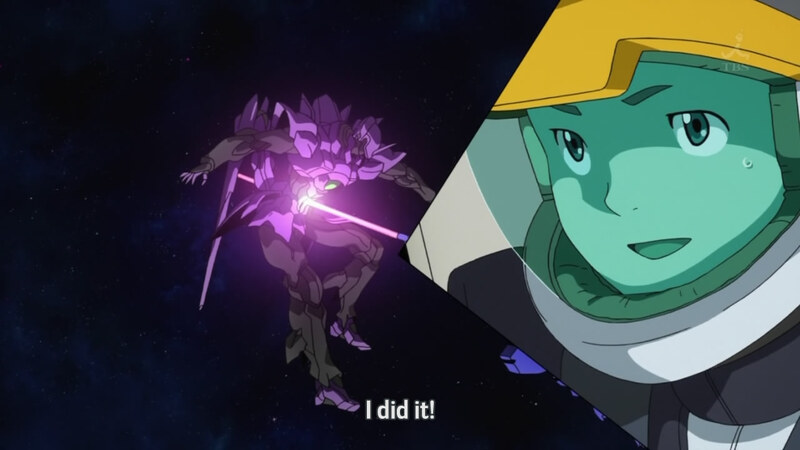 This was pretty funny, introduce the crazy X-rounder squad and kill all but 1 off an episode later. Watching the frenzied Asemu was just amazing. I guess I just like seeing that gradual fall from grace that Asemu is clearly moving towards. Flint was always on the side of justice shown by Desil still being alive. Asemu was always more realistic of a character except without the instant win skills. A main character fighting against the glass ceiling to get Romary's love. 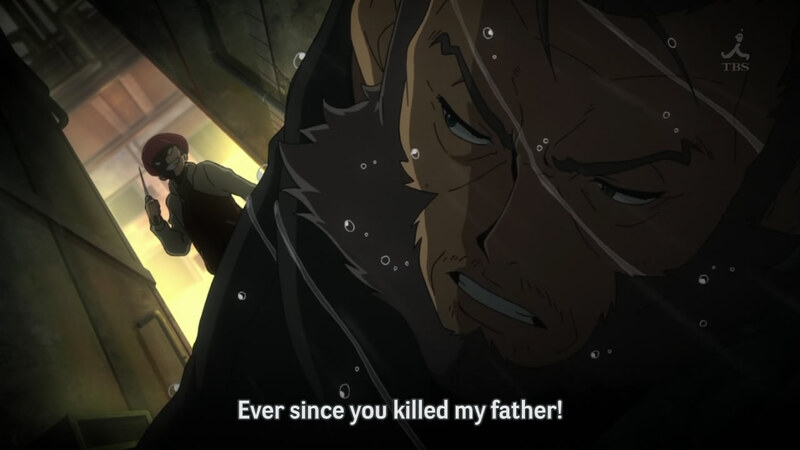 I totally forgot about this guy, funny how he got his revenge so easily compared to Grodek. I am surprised Flint was shocked to learn there were Vegan spies, it is pretty common practice to send in undercover agents in times of war. The question is if that person holds alot of power. I like the small glance of the "secret service" guys at the end, I wonder if they will stretch this further. It was just so nice to see how much Flint idolizes Grodek since he is forced into the same position now. So Asemu is using technology to constantly upgrade himself rather then relying on unlocking new abilities. 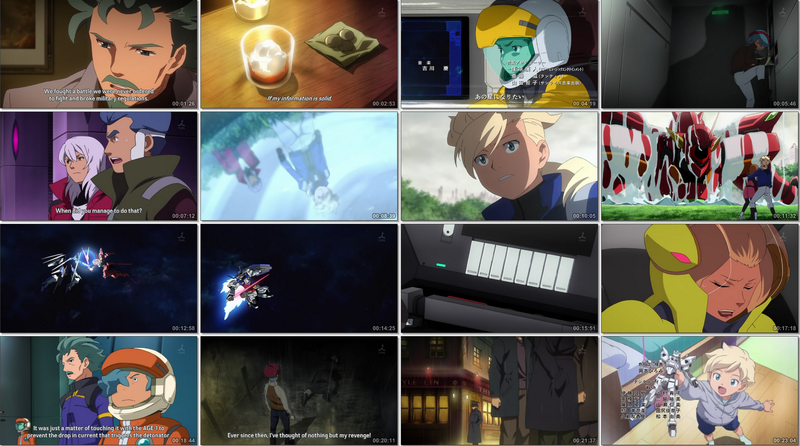 It is just so nice to see how Asemu copes with his problems, much better then your average emo problem of right and wrong between every other gundam pilot. There is no right and wrong in war, seeing that theme not be the main focus is much better. I can't say I care too much about his constant battle to emerge from his father's shadow, but the rest of it is amazing. 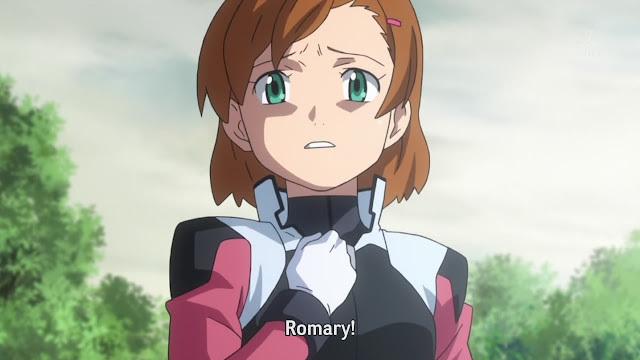 So the great question still remains, will it be Zeheart or Asemu that kills Romary? I am leaning on Asemu.